Cutting your own flowers for bouquets is an easy way to bring the garden indoors to enjoy day or night. You can cut just about anything for an arrangement, but a good rule of thumb is to choose varieties that grow taller than 2 feet. Early morning, when plants are turgid, or filled with water, is the best time to cut with clean, sharp garden shears or pruners. It’s a good idea to carry around a bucket or large plastic cup filled with water. 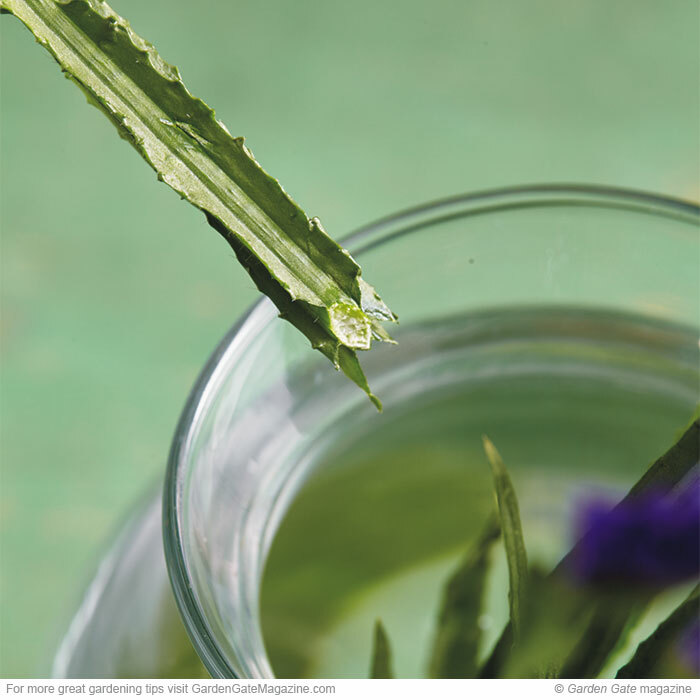 Cut stems that are left out, even if only for a few minutes, can seal up, inhibiting the absorption of water. When you’re ready to arrange, remove all of the foliage that would dip below the waterline in the vase. Then make a fresh cut about an inch above the end of the stem. To get them to last even longer, remember to change the water every two to three days — clean water keeps the stems hydrated and the inside tissue clear of clogs. Some flowers have solid, hearty stems that require a 45-degree angled cut, like you see at left, to ensure the stem isn’t flush with the bottom of the vase. This method works well for the 3 gorgeous cut flowers ahead, increasing the surface area so stems can easily take up water. Keep clicking for the best ways to grow and cut them! 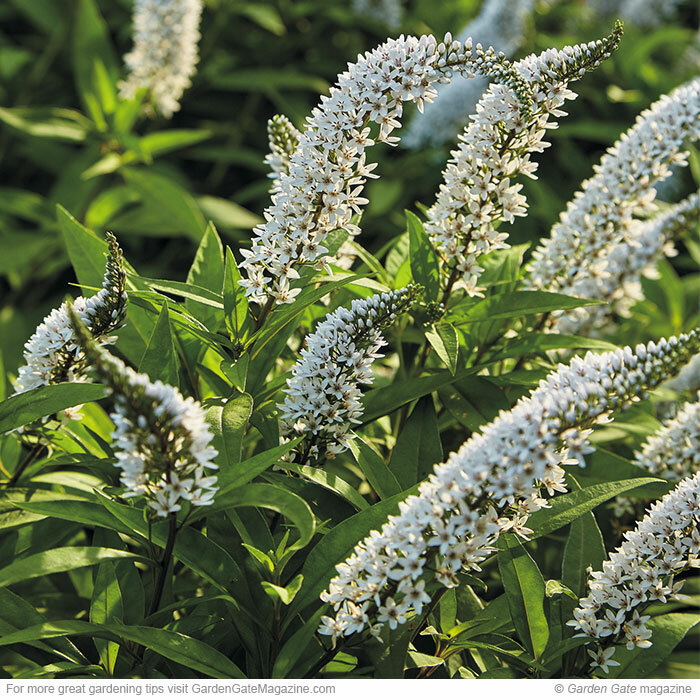 The uniquely curved blooms of gooseneck loosestrife will get lots of attention in the garden, especially in a mass planting. 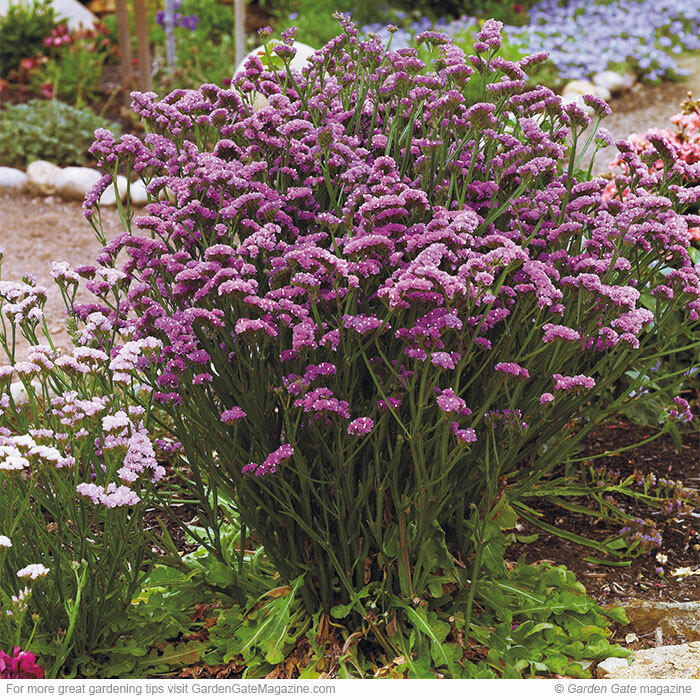 Give this plant plenty of room in a border or a bed all by itself — its runners often spread aggressively and quickly. So it’s a great choice if you have a large area to fill. Deadhead spent blooms to encourage more to open. The graceful, long-lasting flowers add elegance and make a good filler in a mixed bouquet. MAKE THE CUT Harvest these hearty stems when the small florets form around the outside and turn yellow. You’ve probably had statice in an arrangement you’ve purchased from a florist, but it’s easy to grow your own. Local garden centers may offer plants for sale in the annual section or you can start your own from seed. Sow them eight weeks before the average last frost date, barely covering the seed and providing bottom heat for the best germination and root growth. In spring, you’ll see a large rosette of deeply cut leaves that grows up to 2 feet wide. Later in summer, hearty flower stems emerge from the center of the plant. Clusters of small papery blooms can add height or be a filler in a bouquet. It’s a great everlasting dried flower, too. And statice is deer-resistant, so you won’t need to worry about pests nibbling off your flowers before you have a chance to enjoy them. MAKE THE CUT Statice can be cut when most of the individual flowers have fully opened. Festive 1½- to 2-in. pinwheel blooms of helenium jazz up bouquets. ‘Mardi Gras’, in the photo, has cheerful yellow petals tinged with bright orange that change as they mature to offer a pretty multicolored effect. This is stunning in a mass planting in the garden. Because flowers continue to bloom for a month or more, you’ll have plenty of opportunities to bring some inside, as well. 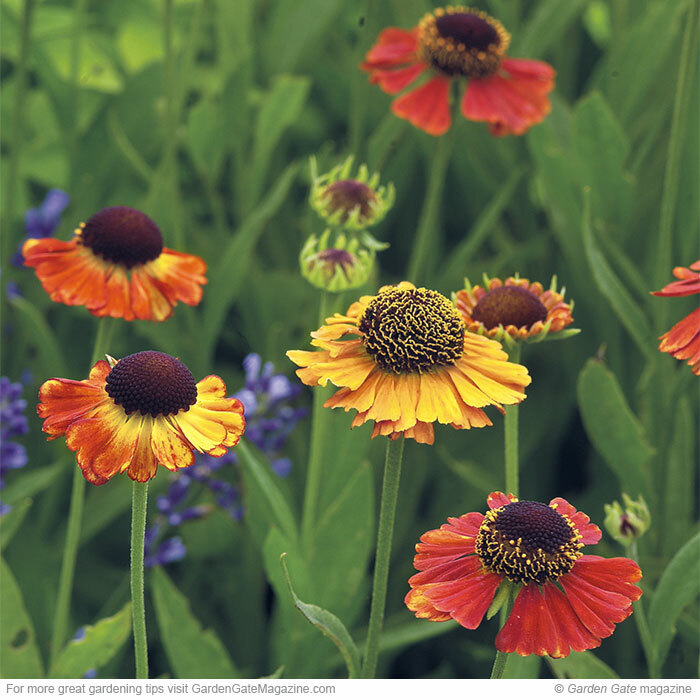 MAKE THE CUT You can cut long, hearty stems of helenium once flowers are open fully. Get great flavor and showy plants throughout the growing season with these 5 edibles. Goat’s beard has beautiful blooms that add texture and height. Find out how to grow plants that look their best.